3. Where Did the Plain Pattern Come From? 6. Who Else Dresses Plain? 9. Will Plain Dress Survive? Doctrines of the Bible was published in 1928, at a time of conservatism among Mennonite churches. 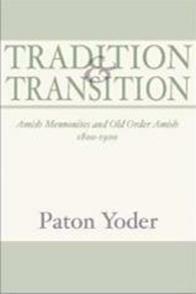 Today, the book is used as a reference guide by many conservative Mennonites and Beachy Amish-Mennonites. The book is recommended for those interested in an overview of what plain Anabaptists generally believe and the Bible references for why. 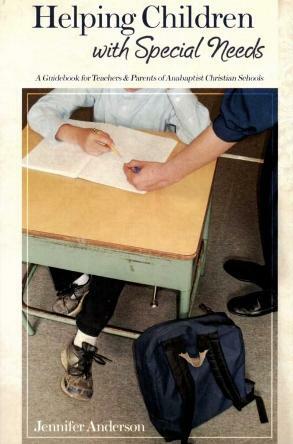 Written for the Beachy Amish-Mennonite's sixtieth anniversary, this was the first comprehensive Beachy book at its publication (1987). The book is rudimentary in appearance, but contains a wealth of information about the Beachys, including a complete history of most congregations and an index of ordained men. Its strength is its comprehensive overview of early Beachy history. The book also discussions institutions, social patterns, strange events and stories, and monumental moments in church’s history. What started out as an interest in family history turned into a masters thesis in photography. 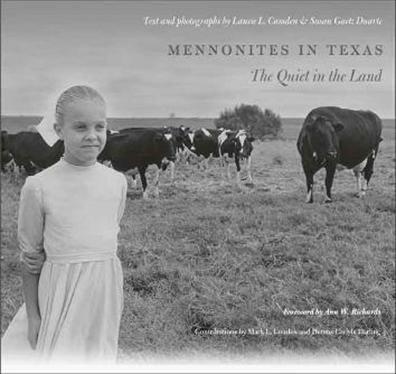 About a decade after completion, Gaetz Duarte published much of her work in Mennonites in Texas, a visually-stimulating account of a Texan Beachy A.M. congregation. The photographs of the community are beautiful, and the accompanying text includes a concise summary of Beachy A.M. history, practice, and thought. The first half of the book includes a photo essay of an Old Colony Mennonite settlement in western Texas, written and photographed by Camden. Beachy Amish-Mennonites are similar in belief and practice to many of the conservative Mennonites, albeit with Amish roots. This book details the beliefs, culture, and daily life of a variety of the Beachy A.M.’s closely related kin: the Old Order and conservative Mennonites. A useful compass for those seeking to understand and navigate the many subgroups of plain Anabaptists. This is the most comprehensive and detailed account of plain dress among conservative Anabaptist groups. 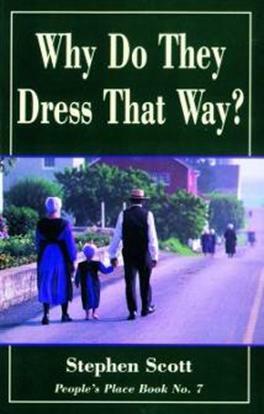 The book addresses why plain Anabaptists wear distinctive dress, what different groups wear, and how plain dress developed. 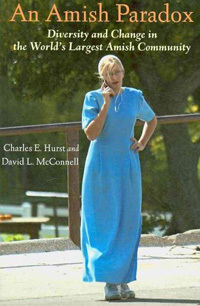 There are several topical chapters of interest: one provides rebuttals for common objections to plain dress, another is a case study of a Mennonite group that abandoned plain dress, and a third chapter is the author’s testimony as to how and why he came to adopt plain dress. The book is well cited, authoritative, and friendly to a variety of audiences. Highly recommended. The Beachy Amish-Mennonites are but one branch of Amish-Mennonite. 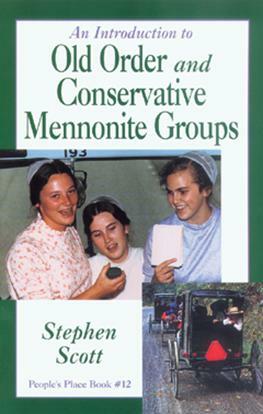 This book describes the emergence of the Amish-Mennonites as a movement separate from the Old Order Amish, beginning in the 1860s. While not part of this original Amish-Mennonite movement (which claimed a majority of the Amish at that time), the Beachy type of Amish-Mennonites would emerge in the 1900s after many Amish-Mennonite conferences dropped the word “Amish” and merged with the Mennonites. Today, the Beachys are the largest group of Amish-Mennonites, but also only one of the few Amish-Mennonite groups remaining. We live in a world wracked by violence and despair. Does that mean that every act of violence must be met with an equal or greater counterblow? 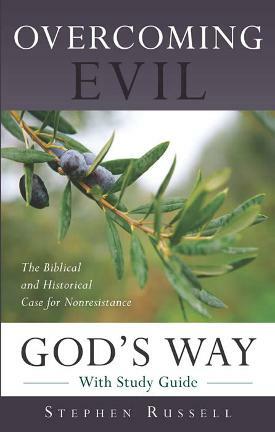 Overcoming Evil God’s Way asserts that the biblical message offers hope of repentance, forgiveness, and reconciliation in place of hatred, vengeance, and fear. This book looks at both the historical and the biblical evidence for the nonresistant lifestyle of Christians. Why do Christians disagree among themselves about war? What is the overarching narrative of the Bible, and what does it have to say about peace? What is the Christian's right and just battle? What is the biblical model for the Christian life? How have platonism and Islamic thought weakened the church's grasp on nonresistance? What place does the gospel of peace have in winning Muslims and others who have discounted the Christian message, life, and community? Russell is a member of a Beachy Amish-Mennonite church and teaches at Faith Builders Educational Programs. From Florida to California, from five members to 263, from German in services to English, and from suspenders and broadfall pants to T-shirts and blue jeans, the Amish-Mennonites of North America are one of the most diverse and dispersed Anabaptist groups today. Originally “Amish with cars,” the Amish-Mennonites have followed many paths in the over 100 years since the first churches that now inhabit this movement originated. This book is a grand-scale portrait of the Amish-Mennonites. —It features places: over 200 meetinghouse photographs, each with an accompanying profile. Detailed maps orient the reader and track church origins. —It features people: over 50 church pages include a picture of the real “church,” the people. Charts and graphs from a 2012 census illuminate population trends. —It features our past: a thorough, yet concise, essay about the Amish-Mennonite origins and development makes clear a history that will be intriguing to the lifetime members and young alike. 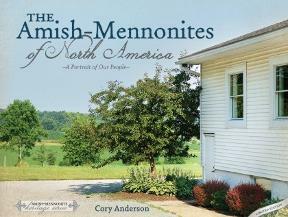 The Amish-Mennonites of North America is a landmark work that the entire family will enjoy. Pgs. 304 Hard cover / dust jacket. Copies may be ordered for $35+$4.95 s/h. The Christian woman's head covering is one of the defining doctrines of the conservative Anabaptist church. Some groups, such as the Amish, have remained consistent in their application of this doctrine from one generation to the next. Others, including many Mennonite and Amish Mennonite groups, have changed styles, often allowing the covering to become smaller, more transparent, or more stylish. Why do Christian women cover their heads? The opening chapters of this book provide basic teachings on the covering, explaining and defending the reasons for wearing it. Why all the fuss about covering styles? For those who already understand the doctrine and have a strong conviction for the covering, the bulk of the book explores the symbolic meaning behind different covering styles and probes the underlying motives behind style changes. Readers will find their convictions strengthened as they understand the historical significance of the traditional Anabaptist covering with its hundreds of years of symbolism. Second ed., pgs. 164, s/c. Copies may be ordered for $9.99+$4.95 s/h. Despite a misleading title, this book about the Amish in Holmes County is about how the many elements of Amish society harmonize to create one of North Americas’ most distinctive, enduring religious sects. The book provides a history of the Holmes County Amish, and treats areas such as occupations, education, health, and change. While about Holmes County, OH, as a specific community, the book is more about Amish practice in general, using this community as a case. · Coordinate the work of school parents, and teachers in adequately addressing needs. Pgs. 304, s/c Copies may be ordered for $12.99+$4.95 s/h. The Journal of Amish and Plain Anabaptist Studies welcomes manuscripts, both theoretical and empirical, about plain Anabaptist groups, including Amish, Apostolic Christian, Brethren, Bruderhof, Hutterite, Russian Mennonite, Swiss Mennonite, and related movements. The journal further seeks to include the rigorous research of members from plain Anabaptist communities, who are invited to submit manuscripts for special consideration. The following articles are from the first issue. Click the link above to view issues since. Where Are the Plain Anabaptists? Who Are the Plain Anabaptists? What Are the Plain Anabaptists? Cedar Grove A.M. / Mornington A.M.
General / M.I.C. / Woodlawn A.M.
Pine Grove M. / Faith Christian F.
Valley View A.M. /Pleasant View A.M.